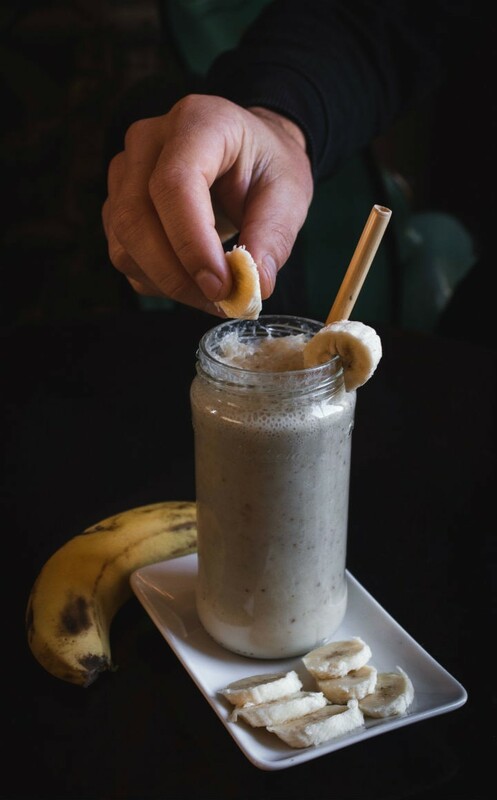 Your search for a fantastic Banana Milkshake ends right here! This creamy and vanilla flavoured recipe is pseudo ice cream and a keeper for those hot summer days. Come summer, and our diet immediately moves to liquids, cool stuff and ice creams. With so many on offer and such a long spell of heat, we have you happy and covered for all meals of the day. Banana Milkshake has been around since the invent of our mixie, I guess. Being the most satisfying and easiest thing to make to quench that thirst and hunger during summer vacation, ask any mom and she is sure to dish out her child’s favourite version. You can’t get any quicker than blending ripe bananas (which is always stocked at most homes), milk and sugar, thrust into the fridge to cool and bide its time patiently. Today’s recipe is going to have a slightly different take. We will be adding Ice Cream instead of milk and sugar. Make it more like an ice cream shake. This one is so versatile that it will test the limits of your imagination! Best of all, you can drop in any fruit you like – banana complements just about anything -from chocolate, cocoa, strawberries, or nuts and dry fruits, you can try just about any thing. This creamy and vanilla flavoured recipe is pseudo ice cream and a keeper for those hot summer days. Blend well for a minute or until smooth. Frozen bananas make the milkshake creamier and thicker. Serve immediately or it will lose texture. Use fully ripe or slightly over ripe bananas to get good flavour and natural sweetness. You can substitute ice cream with regular cream or whipping cream. If you have frozen yoghurt on hand, that can also be used instead of ice cream. 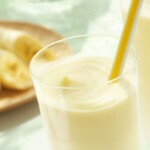 Feel free to comment or share your thoughts on this Banana Milkshake Recipe from Awesome Cuisine.